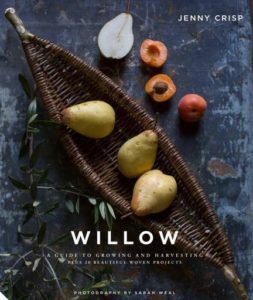 Since mid October (when this eagerly anticipated book was released), at every Willow Sculpture Day that I’ve taught I’ve been enthusing about Jenny Crisp’s fantastic new book ‘Willow’ and the woven projects within. 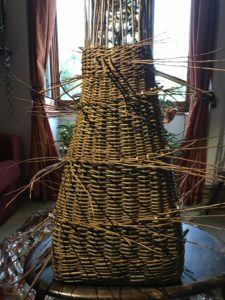 Having now had a chance to make two of the woven projects, I wanted to write a review to let you know that if you only buy one book about willow basket making this year – make it this one! 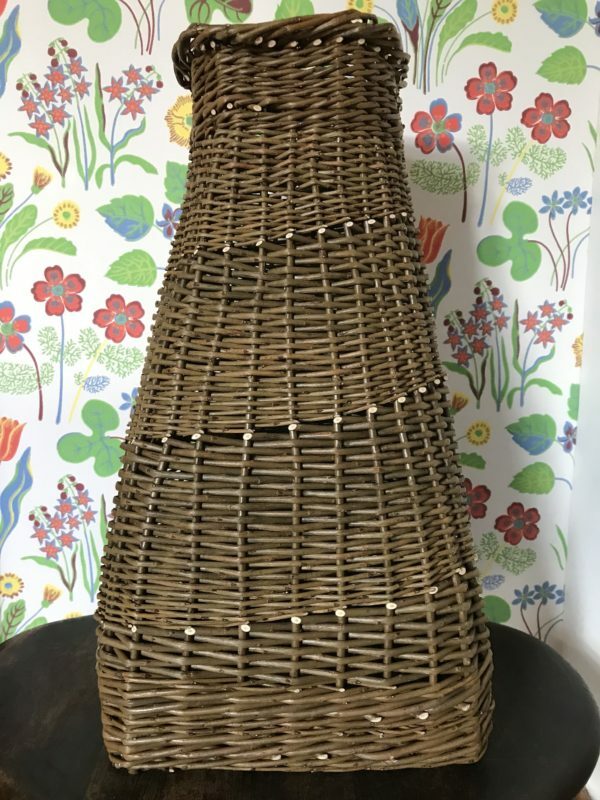 Jenny is spot on with her timing, amid the fantastic resurgence of interest in our craft form she encapsulates the idea of having a ‘natural’ home containing function and beauty in every room, (literally ‘containing’ in the form of baskets!) Woven projects range from those for enthused beginners right up to advanced undertakings. Jenny cleverly divides up projects into flat, natural, spiral, round and square weaves. I love the fact that Jenny has imbued her own distinctive style throughout the book, but especially in the round and square weave projects. 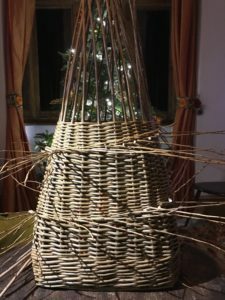 What’s more, alongside clear and succinct explanations accompanied by beautiful images, Jenny has included key weaving techniques as well as how to grow, harvest and prepare willow. 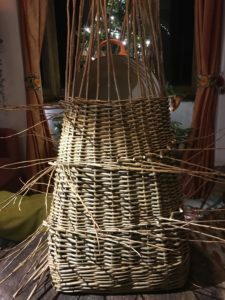 It’s all in there – in fact you could spend months progressing through, experimenting and weaving every project and in the process truly enhance your home and garden! You can order Jenny’s book by going to her website at jennycrisp.co.uk/book , ‘Willow’ is also being stocked at Waterstones, independent booksellers, Amazon and at Coates English Willow. 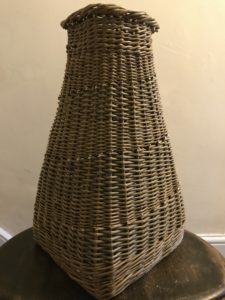 The photos below show my laundry basket in the making. 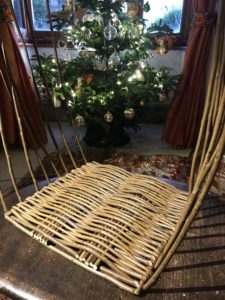 I love how as the basket progresses it ‘grows’ up my Christmas tree. 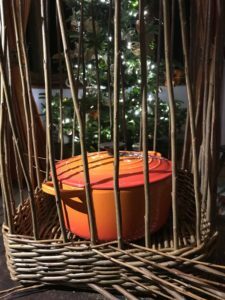 I also love how I managed to get the casserole dish that I was using as my weight stuck inside!